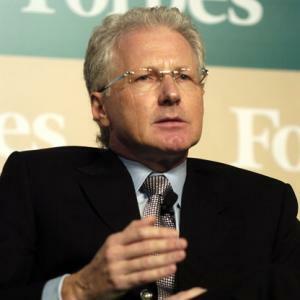 Richard Fred Chandler was born in 1961 in Waikato, New Zealand, and is a businessman and investor, best known to the world as the owner and chairman of the Singapore-based Clermont Group, which is focused on investing in various industries, including financial services, energy, healthcare, education and others. Have you ever wondered how rich Richard Chandler is, as of mid-2016? According to authoritative sources, it has been estimated that Richard Chandler`s net worth is as high as $2.5 billion, an amount acquired through his successful career as a businessman. Richard spent part of his early life in Monaco to where his parents moved, however, he graduated from the University of Auckland with a BA in commerce, followed by an MA, after which he joined KPMG in London, before returning to NZ and with his brother Christopher, founded the Sovereign Group in 1986, shortly after which they moved their base to Singapore. Their umbrella organisation eventually owned companies in such industries as telecommunications, steel, oil, electric utilities, banking and gas, among others, based in Eastern Europe, Asia, Africa and Latin America. Little by little their company began to expand, which only increased their net worth, however, after 20 years, they decided to split up their assets, and continue with careers separately. Christopher started the Legatum Capital, and Richard founded the Orient Global, however, during the years it changed names, firstly to Richard Chandler Corporation in April 2010, then Chandler Corporation in 2013 and eventually Clermont Group in 2016. This has been the main source of his net worth, as the group became one of the largest investment companies with its main operations based in Singapore. He now owns interest in numerous companies in different industries, including finance, healthcare, energy and many other. In June 2013 Chandler’s company bought an 80% stake in Vietnam’s largest private hospital group, Hoan My Medical Corporation, complementing holdings in Indonesia and the Philippines, and aligning with his philosophy of investing to improve as well as for profit, particularly in health and education in some of the less well-developed countries in Asia. So in further examples of his ventures, Richard has invested around $100 million in creating low-cost private education centers in India, and has also invested into the global chain of K-12 schools, entitled Nobel Education Network. Thanks to his successful career, Richard has received several recognitions and awards, including being naming on several lists made by the authoritative Forbes magazine; he is the 10th richest person in Singapore, and the second of New Zealand nationality. Also, he is the 638th billionaire in the world. His way of investing has been characterized as philanthropy, as he tends to buy companies which are struggling and close to bankruptcy, and then successfully rebuilds them. For that he has been accused of collaborating with governments and other notable people, however, he is one of the most successful businessmen in Singapore. When it comes to speak about his personal life, little is known about him in the media, apart from the fact that he is single, and currently resides in Singapore.